The BERNINA 535E is entry-level model of the revamped BERNINA 5-Series launching in 2017. 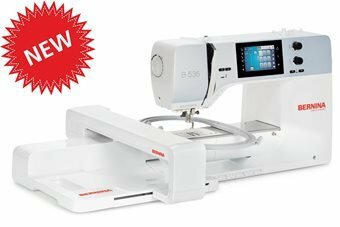 The new BERNINA 535E features more throat space + jumbo bobbin + automatic thread cutter + countless other features. Use 1,048 beautiful stitch patterns and five sewing alphabets to individualize your favourite projects.